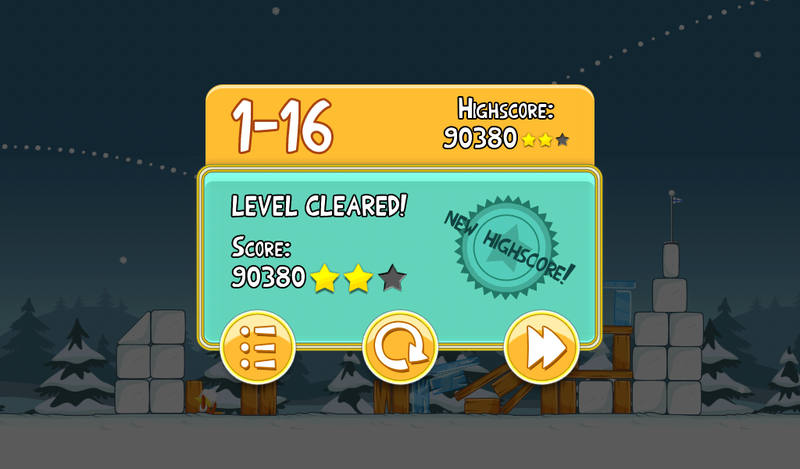 Angry Birds Seasons Day 16 – High Scores? I for the life of me, can’t figure out how to get 3 stars on day 16 of Angry Birds Seasons. Been at it for a good 20 minutes now and I’ve officially given up. Sad I know. Show me what you got though!